What an amazing place to discover scuba diving, Ishigaki is!! The Discover Scuba Diving is a program for those who don’t have scuba diving certification. 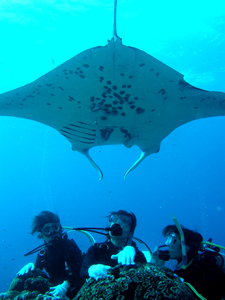 If the sea condition is ok, we will bring you to Manta Point at second dive. 1st Dive: Practice, 2nd Dive: Challenge the Manta point. You don’t need certification. This course is 2dives and about 6hours. The 1st dive is shallow. You practice the divinng basic skills. 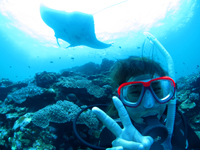 If the sea condition is OK, ・・・ We will bring you to the manta point at 2nd dive! 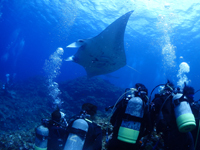 It is impossible that we take you to the Manta point in 1 dive course. 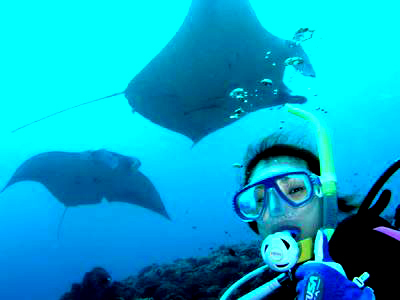 You need to learn about diving basic rules and skills to dive safely in the Manta point. Caution：We change the 2nd dive point if the sea condition is bad and it is difficult that dive in the Manta point safely.We ask for your understanding about our dicision. 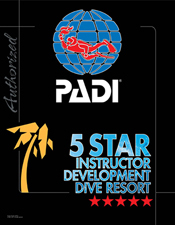 「Umino Kyoshitsu」is「PADI 5stars ・ID dive resort」. We promise you the trust and peace of mind about diving. 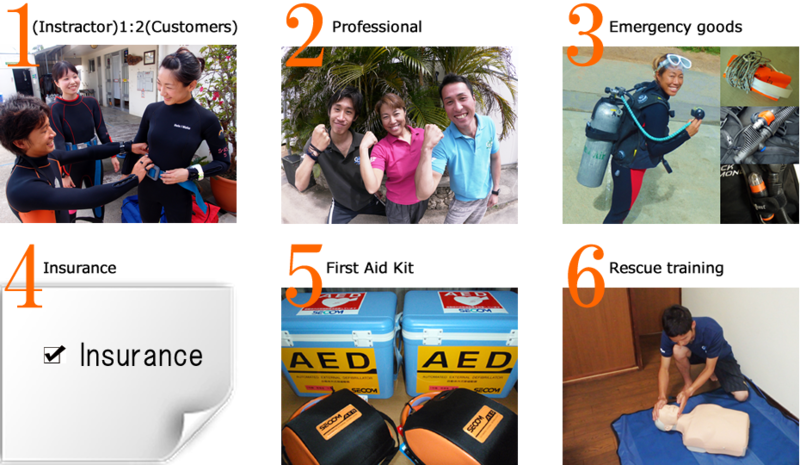 Our course is based on PADI’s program. The PADI is the most reliable diving association in the world. Point 1：We took out insurance. The most important thing about diving is the safety. We never forget it. Point 2：The number of people ratio is two guests to an instractor. The professional instractor trained in the all season guide under the sea with you. Transportation is included if you will be staying in the city area. Lunch time & After briefing. We can’t promice that bring you manta point everytime. It is due to sea and customer’s conditions. The most important thing about diving is the safety. 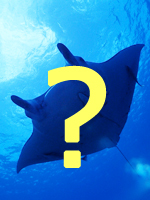 The Manta is the natural things so We ask for your understanding if you can’t meet Mantas.